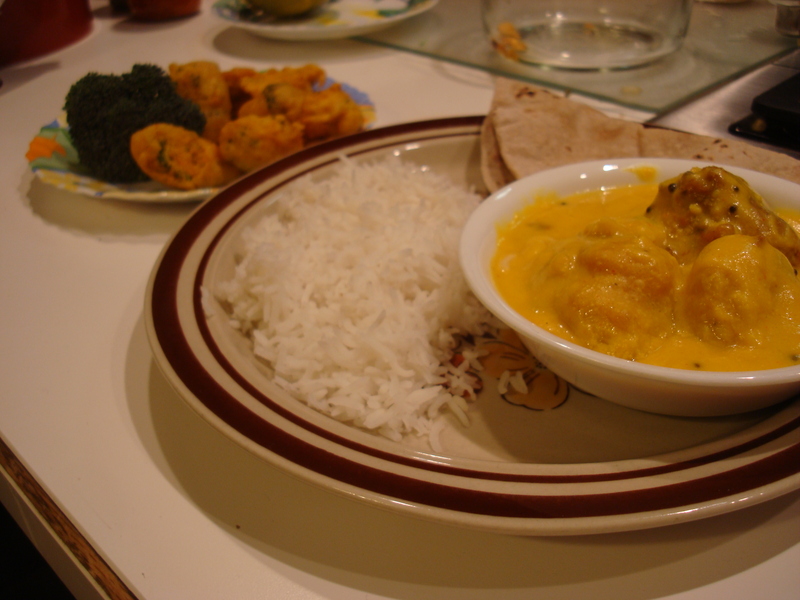 Kadhi is a dish using gram flour and yogurt as a base and a few spices. It is served with rice and chappati. 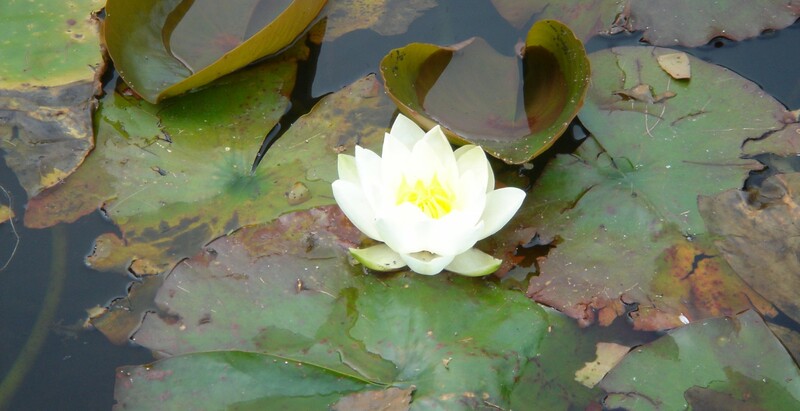 It is not very spicy, but has a very distinct flavor. 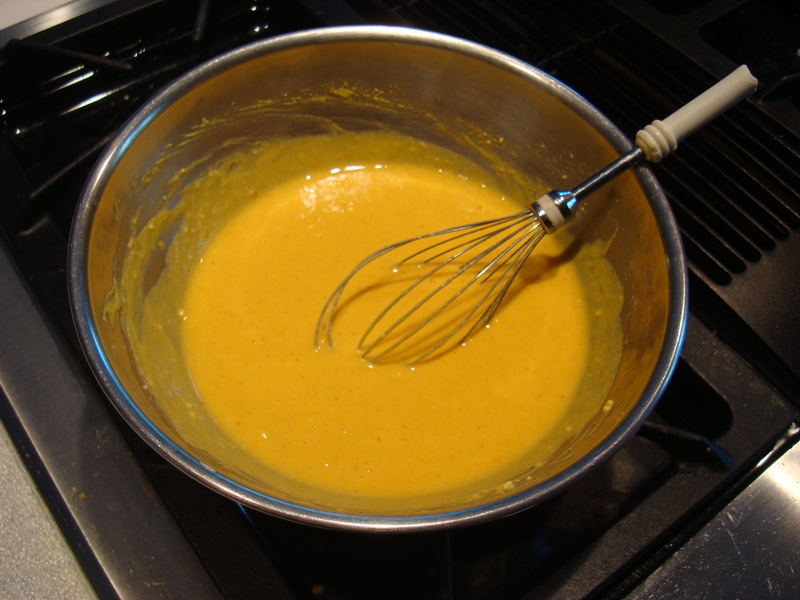 Mix the besan, yogurt, haldi, namak, mirchi, hing, and 1 cup of water in bowl and mix with a whisk. Add 5 more cups to the mixture after it is well mixed. Add the methi and sarson seeds to the hot oil and let sit until the methi seeds turn from yellow to brown. Add the mixture and turn the stove to high. When the base begins to boil, set the stove on low heat and let sit for 30 minutes (occasionally stirring). 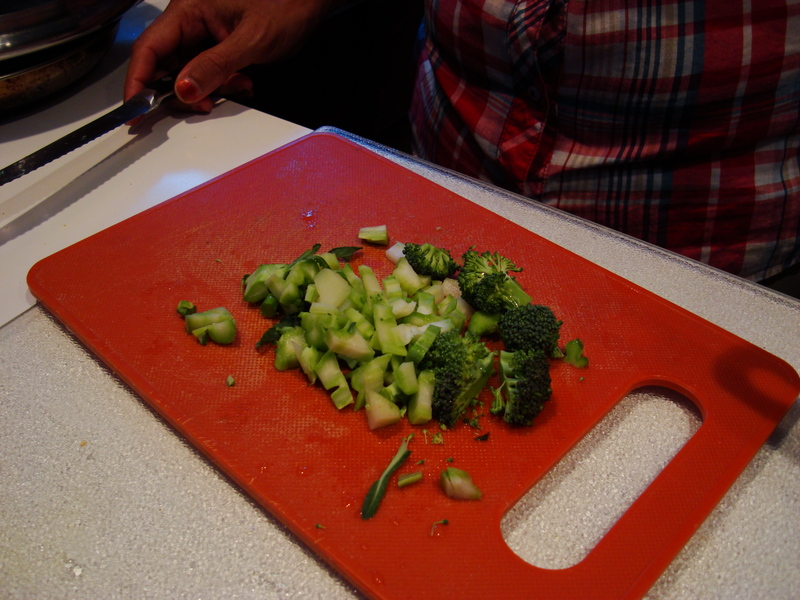 Cut your broccoli into small 1 or 2cm pieces. Use 2 cups worth of this cut broccoli. 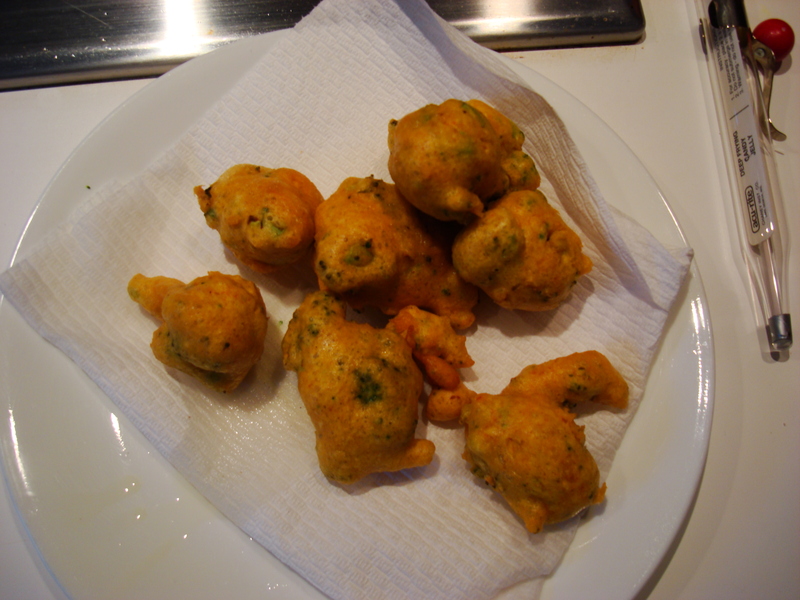 Place the cut broccoli, besan, namak, haldi, water, and Eno salt in a bowl and mix well. 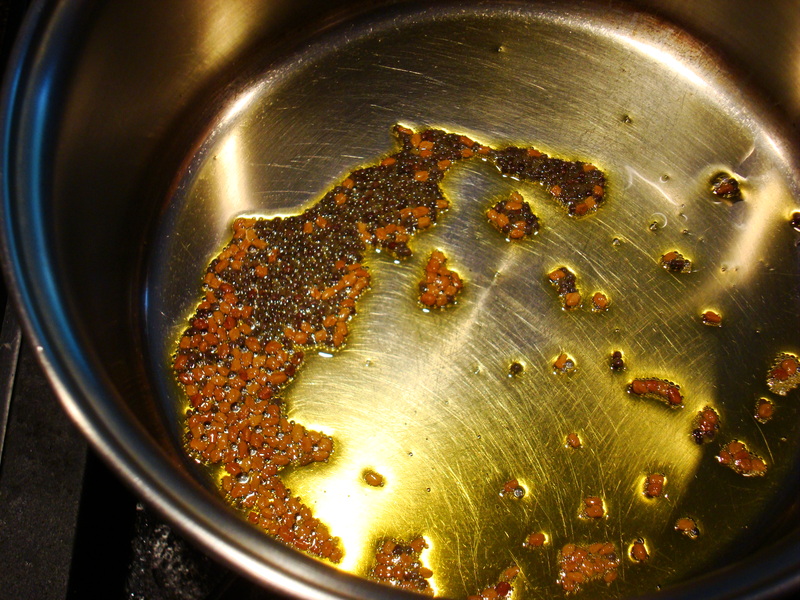 Heat up a pot of oil for frying on medium heat (to test for when the oil is at the right temperature, place a drop of the mixture into the pot and see if it cooks and floats. If it does, the oil is ready). 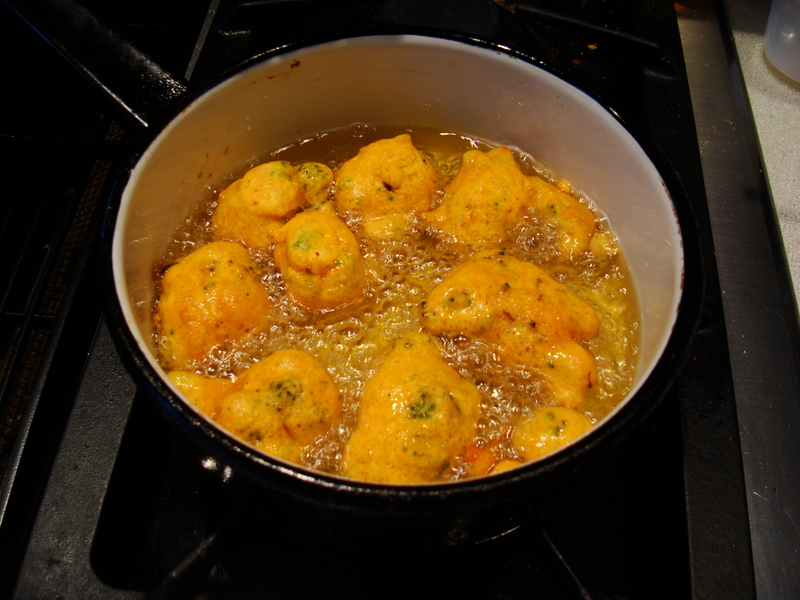 Once the pakodas have cooled and the base is finished cooking, mix the pakodas into the base. Yummy. 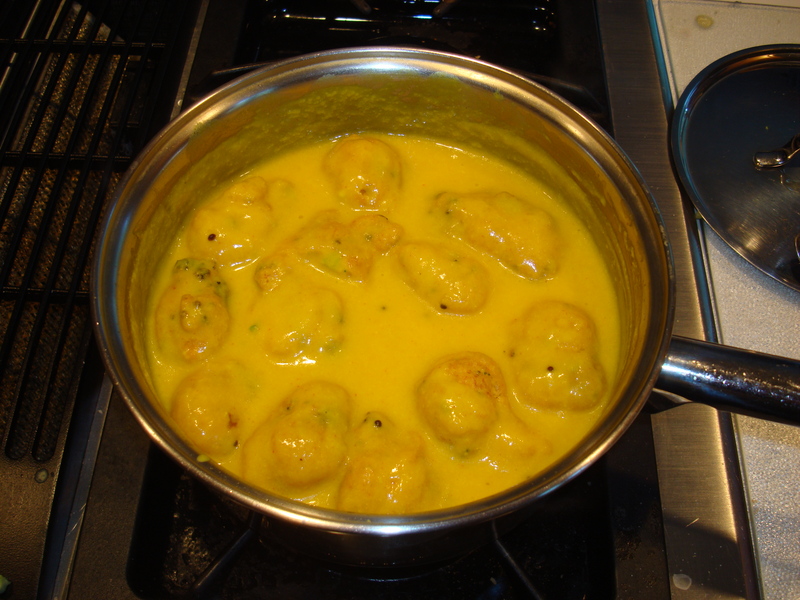 I like pakora, but never had kadhi before. Thank you. I am glade that you like pakora.